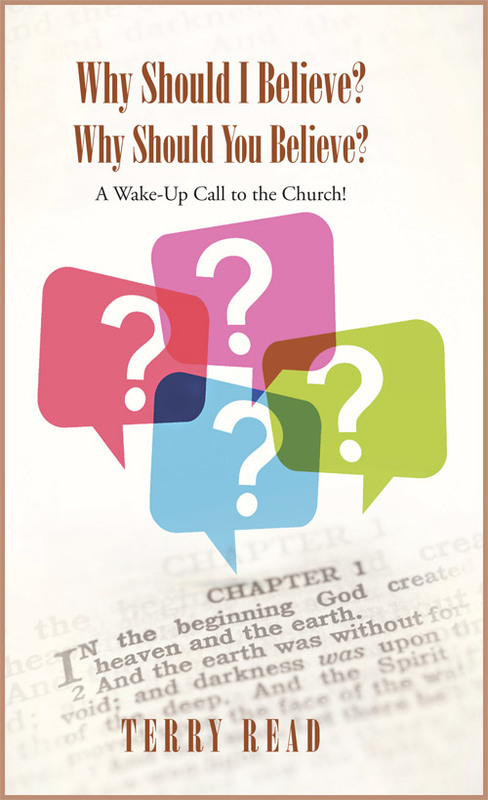 Book « Why Should I Believe? Why Should You Believe? This is one man’s journey to discover the truth about the Bible. Terry Read grew up in a Christian household and went to church. But Terry did not live in a bubble. Terry watched documentaries, read magazines, read encyclopedias, and went to public school. Terry knew that what he was learning about “science” from all of these other sources did not mesh with the Bible. Terry tried to make the two world views fit together somehow. But Terry discovered another option that he had never been taught—that a person could believe the Bible as it reads. The Bible does not contradict good science. Terry studied this. He learned that the biblical world view is actually the only world view that is consistent with even doing science. Terry’s discovery was such great news to him that he wanted to share it. He knew that other people would be happy to hear this message. He knew that whether or not they admitted it, other people were doing mental gymnastics as he had done to make the Bible fit the “science.” Terry could see the devastation brought on society because people do not believe the Bible. But when Terry tried to share his discovery, he became frustrated. The reason Terry had so much consternation was the unexpected source of the frustration—church leadership. Church leadership was actually afraid to share this message that people really can believe the Bible! This book document’s Terry’s struggles and tells what you can do.